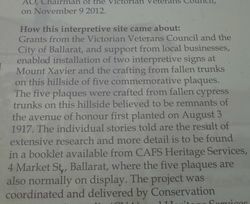 In 1917, 200 Pinus insignis trees were planted at Mount Xavier Reserve to commemorate boys of the Ballarat Orphanage who served in World War One. 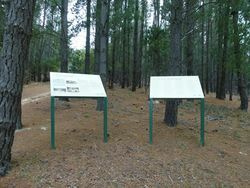 Two pipers played their bagpipes, and the first tree planted was by Governor- General Sir Ronald Munro Ferguson. 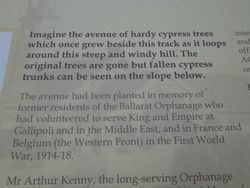 The avenue was later named Arthur Kenny Avenue of Honour after the former superintendent of the orphange. 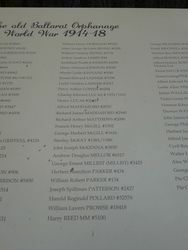 More than 100 residents of the orphanage who enlisted to fight World War One, and of those who enlisted, approximately 20 died in service or were killed in action. 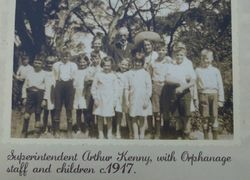 Since 1917 most of the trees have died, but the track which Arthur Kenny and orphanage boys created is still there. 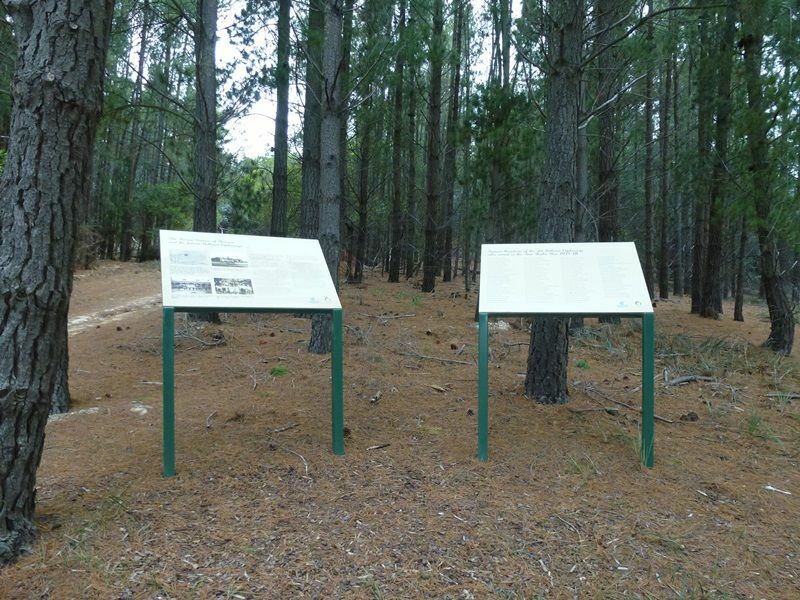 The avenue was re-discovered in 2014 and after many months of work by groups including Conservation Volunteers and Child and Family Services, the site was fully restored and an information plaque erected. 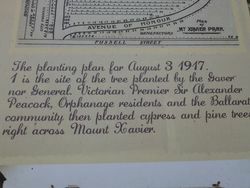 One of the principal functions associated with the visit of his Excellency was the opening of the Mount Xavier Park and tihe naming of an Avenue of Honor, designed in connection with the Orphanage. 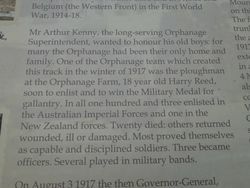 and carried out under the direction of Mr. Arthur Kenny, superintendent of the institution. 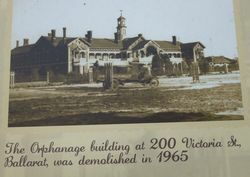 It was the last of the day's official functions, and the vice-regal party reached Mount Xavier about 1 o'clock after an inspection of the Orphanage. 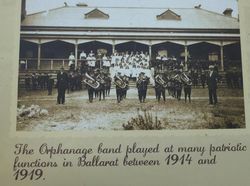 Their approach was heralded by Pipers G. Norton and A. Morrison, who formed the guard of' honor during the day and the party proceeded at once to the lookout, which commanded a splendid view of the whole of Ballarat. 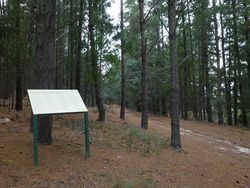 The Park is laid out on the highest point of Mount Xavier. 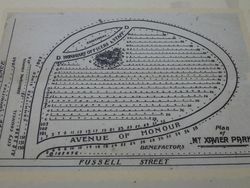 The entrance is from Fussell street, and provision has been made for planting around 600 trees. 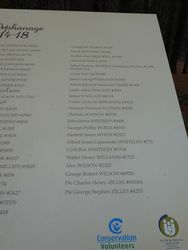 The avenue proper, which is heart-shaped, is 18 feet. wide, and winds round the hill. 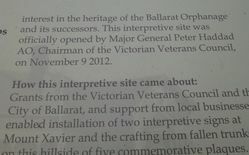 Pride of place in the avenue, which is to be planted with ornamental trees, whilst the greater part of the hill will be planted with pinus insignis, was given to the Governor-General and Lady Ferguson. 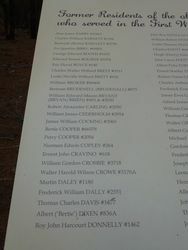 After that trees are allotted to Sir Alexander and Lady Peacock, the Minister for Forests ( Hon. 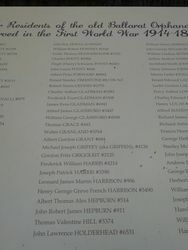 T. Livingstone) , the Secretary for Lands (Mr J. M. Reed ), the Director of Agriculture (Dr. Cameron ) and 100 or more boys from the institution who are serving at the front. 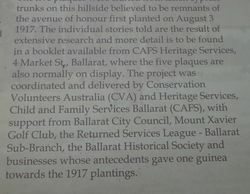 The Ballarat Courier (Vic), 4 August 1917.